Hamlet, Shakespeare’s most famous and haunting play, explores melancholy, despair, grief, and revenge that push the limits of the human spirit. Grieving the death of his father, the king, and his mother’s too-soon marriage to the king’s younger brother, Claudius, Hamlet encounters his father’s ghost while wandering the moors of Denmark. When the ghost tells his son that Claudius murdered him, Hamlet swears revenge and crafts an elaborate and psychologically perplexing plot to avenge his father’s death. 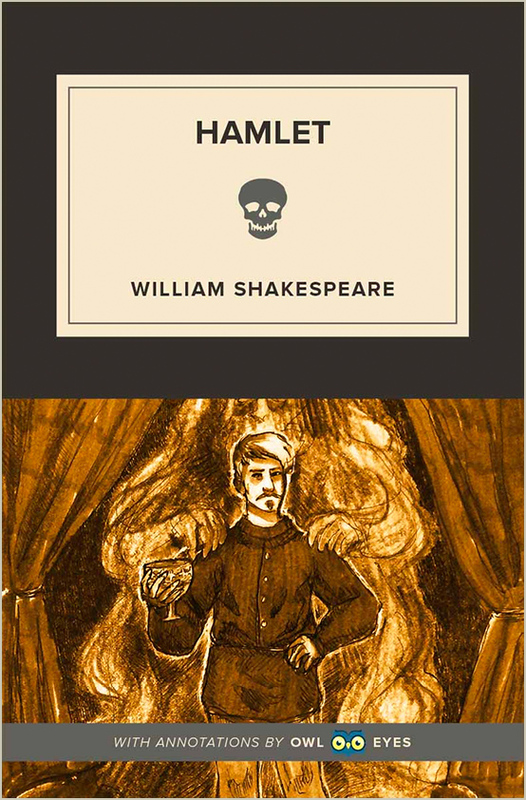 Hamlet unfolds over a series of monologues by the main character. Rather than simply revealing the character’s internal state to the audience, these monologues engage in an almost philosophical examination of mortality, repressed desires, and existential anguish centuries before philosophers put names to these conditions. Hamlet appears to be working out his own mind in order to understand all minds. For this reason, this play has been widely read as the key to understanding our deepest and most elusive psychological and emotional interiors. Hamlet has become a gripping illustration of Shakespeare’s ability to enter the human mind and unveil the yearning at the core of human nature.